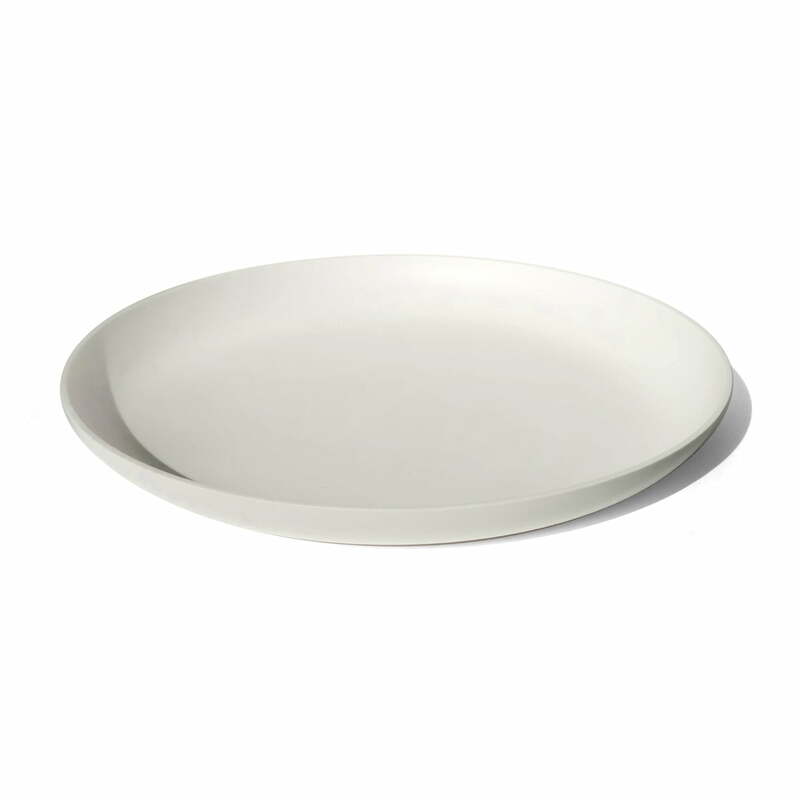 The Tray bowl from the Connox Collection is discreet in its design yet has a high quality finish. As a large fruit bowl on the kitchen table or as a shelf for drinks and snacks, the tray bowl can be used in a variety of ways and also impresses with its timeless design. The high-quality Corian, processed in Germany, makes the tray sturdy and particularly durable. Due to the robust and real food material, the tray bowl finds its place in the kitchen as well as in the living area. Thanks to the material used, unnecessary waste and energy wastage are avoided during the production of the Connox tray. The non-toxic raw material does not release any gases at normal temperature and is particularly suitable for use in private and public areas. The easy-care surface of the Corian tray can be cleaned with a gentle detergent if necessary. Isolated product image of tray from the Connox Collection. The round soap dish has a diameter of 40 cm. Made of white, high quality Corian in Germany. Thanks to the Connox Corian bowl, lemons, apples and other fruit can be stylishly placed on the coffee table or dining table and embellish the living space just like a still life. The round, white Corian tray can be stylishly presented with crockery, accessories and snacks. As an accessory for a successful table decoration or for the next Instagram photo.